Some new research questioning esports viewers on their hobby has produced some interesting responses, including the fact that there was a split decision among fans when it comes to whether esports should be considered as an actual sport. 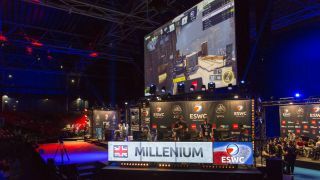 The survey by Nielsen – the renowned research firm’s first statistical dive into esports – asked ‘what the fans think’ across four countries (US, UK, France, Germany), and found that only 53% consider esports to be an actual sport. So it’s not far off a 50-50 split regarding that issue, a surprisingly even result given that this comes from the ranks of those who are keen spectators of pro gamers. And when it came to the question of whether esports should be an Olympic sport, only 28% agreed with this assertion. As we heard back in the summer, esports is still being considered for inclusion in the Olympic Games in France (Paris) come 2024. All that said, when the fans were asked whether esports would become a ‘mainstream activity’ in the near future, the majority (71%) believed it would. That’s hardly surprising given the recent spread of esports TV coverage, which in the UK has come to Sky, and of late BBC Three (online) and BT Sports. The study (spotted by VentureBeat) also found that a typical esports fan follows no less than 5.7 games on average, spread across 2.6 genres – in other words they’ve got a pretty wide sphere of interest, and aren’t fanatically focused on just one game. So what’s the most popular esports game on the PC? In the US, the most-watched title is Counter-Strike: Global Offensive (unsurprisingly), followed by League of Legends, Dota 2, StarCraft, and Heroes of the Storm (all of the latter are MOBAs save for Blizzard’s veteran RTS). Although when it comes to actually playing games, the most popular title is Call of Duty which 61% of US respondents said they played. In the UK, the top game was Grand Theft Auto, played by 63% of those questioned. As for demographics, 70% of esports fans are male and aged between 13 and 40. 66% of those surveyed said they watched livestreams of esports live (as opposed to later, or the highlights), but only 37% attended actual esports events in person. Nielsen also looked at the prospects of virtual reality esports, saying that it ‘could’ eventually arrive as a force – although only 5% of esports fans own a VR headset currently. That said, 37% of respondents said they plan to buy a VR device within the next year. Intel is certainly trying to give virtual reality esports a big push with its VR Challenger League, featuring dueling mages and a futuristic Tron-like zero-gravity team sport.